So slow down there, you can get a boyfriend and you most likely will get a boyfriend, but you have to go about things the right way. So, how do you go about solving that “I want a boyfriend now” demand? First of all, be clear that is you who wants the boyfriend, and not your immediate friends or even members of your family… Peer pressure is behind many things in the modern age, and if you really want to attract a man you like then the motivation to do so had better be coming from you, or it’s just not going to work (more a case of “I don’t want a boyfriend but there’s no choice”). Broadly, there are two ways for you to find a boyfriend. These are offline or online, and they are worth separating into 2 categories because the online method is as big on its own as the offline methods put together. Offline ways to solve the “I want a boyfriend” problem are based around being at places where available men are there to be met, to be chatted to, to become aquanted with. These can include purpose-built places such as nightclubs down to ‘accidental’ places such as supermarket aisles and shopping malls. Much better are clubs and societies that are not set up with the purpose of finding you a boyfriend but can still do so as a side effect. Find something you like doing and share it with others of the same ilk, is the key here. Join groups dedicated to your hobby or interest. Night classes are also a good idea (meet boys while learning Spanish) or take Morrocan cookery classes — you get the idea. Meeting men online is a different matter. You can of course get to know boys by accident online while pursuing your interests, but much simpler and easier is to join an online dating site. (Take care that it is one that protects your personal info and treats you well — check out our recommendation PenPalsPlanet.com). With a whole world of online dating to enjoy many no longer see the need to look for dates offline. So, if you have every found yourself thinking or saying “I really want a boyfriend right now” why not give online dating a try? Millions do. Browse the photo profiles at our recommended dating site and find someone who shares your interests and outlook on life now. If you had a boyfriend, lost him and now want your boyfriend back then do check out this resource, it may have exactly what you need. In case you wandered in here by mistake and it’s a girlfriend you are looking for rather than a boyfriend, this is the place to go next. Where to meet men is a resource page at SingleDating.com listing some useful websites on the topic. I Want A Boyfriend But How Do I Get One? “I want a boyfriend but how do I get one?” is the plaintive plea on this Yahoo question. Some sound advice is given in answer. What Type of Boyfriend Do You Need? A what type of boyfriend do you need quiz that might help some to clarify their thoughts. Browse our recommended profiles and find a boyfriend who shares your interests and outlook on life! 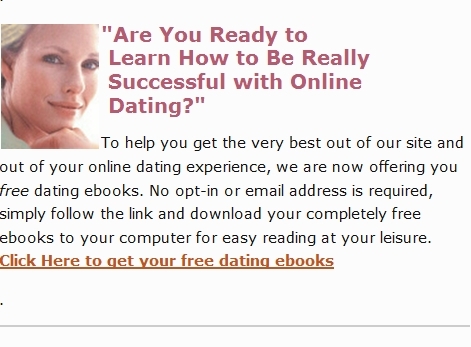 Please now check the address bar of your browser — if you aren’t looking at this I want to have a boyfriend article at http://www.singledating.com/blog/ then you are probably reading an unauthorized copy as this content is exclusive to SingleDating.com and is copyright. Please navigate directly to www.SingleDating.com/blog now for the real page. Don’t forget to bookmark this post I want a boyfriend.